Are you looking to increase your flexibility? Ever wondered what you would look like with a yoga booty? LGBT-based Stonewall Sports is launching a new offering this month with a nod to its original concept of something new, in a comfortable space, with a sense of community. Stonewall Yoga will be its first attempt at a non-competitive league with registration for the first season running now through Wednesday, May 25. 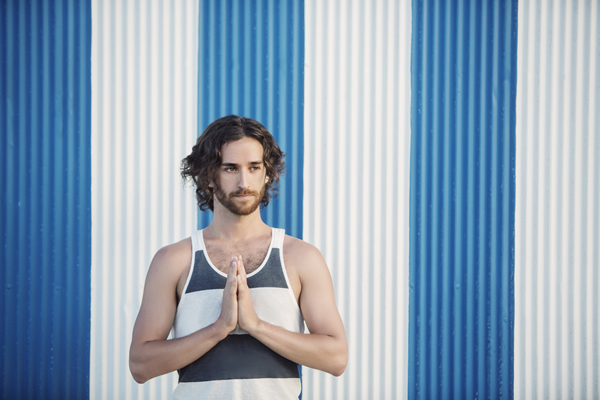 The yoga league is the brainchild of Craig Cassey, who found he was leaning on yoga to heal his body and relieve stress after sustaining an injury while training for track & field. The model for the first season will be 12 sessions from June 4-Aug. 27 with a new yogi showcasing his or her talents each week. The yogis will be a diverse representation of the community and will range from queer men, people of color, transgender and women. The group will meet on Saturdays at 2:30 p.m. at Town Danceboutique and all skill levels are welcome. The methods will vary weekly and will include vinyasa flow, jivamukti, yin and rocket yoga. The league will follow the Stonewall model of donating all proceeds to a local charity selected by members. Yoga practices will be given to members to use at home and each session will be followed by a social on the Town patio. Both Cassey and Thomas say the structure is very intentional and thought out as to what their goals are for the audience — building connections for people with common interests. 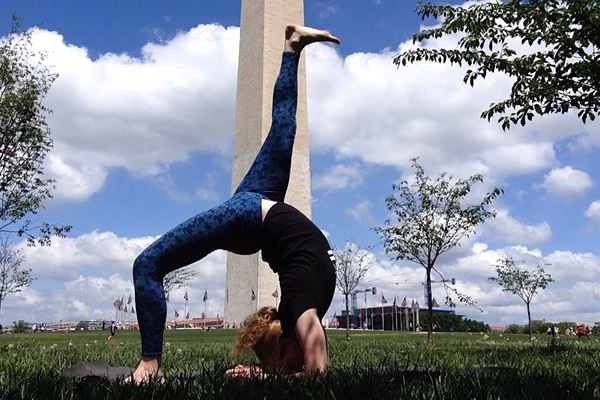 One of those talents is Eric Schwarz, who won D.C.’s Best Yoga Instructor 2016 in Washington City Paper. Schwarz was working for the federal government and experiencing “micro aggressions” for being gay, so he left that work behind to teach yoga full-time. In the U.S., most yoga enthusiasts are white women. This group hopes to exemplify diversity. The diversity of instructors is further represented by yogi Jessica Whittington, a trans woman. She points to the venture as a safe space that speaks to the community at large. Yoga is known to stimulate certain parts of the sensory motor cortex and scientific research has indicated that the stimulation leads to increased absorption of hormones. There are findings that this can lead to better results from hormone replacement therapy medications.